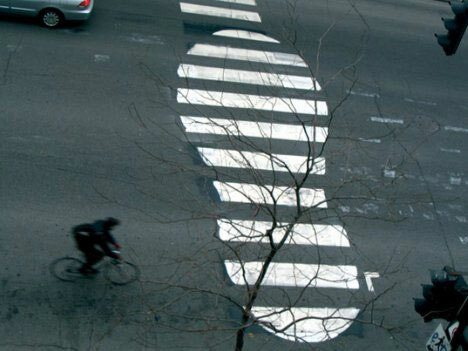 There is a lot of commercial emphasis on the safety of vehicle designs, but did you know that 25% of auto accidents involve pedestrians? 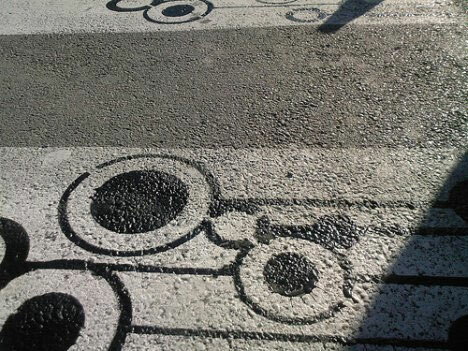 While the purpose of these crossings is to assist people (or in some cases animals) wishing to cross a road, their utilitarianism hasn’t not stopped people from creative experimentation in the form of quite literal pedestrian street art. The most famous of these works come, unsurprisingly, from Peter Gibson, often referred to as Canada’s answer to Britain’s Banksy. 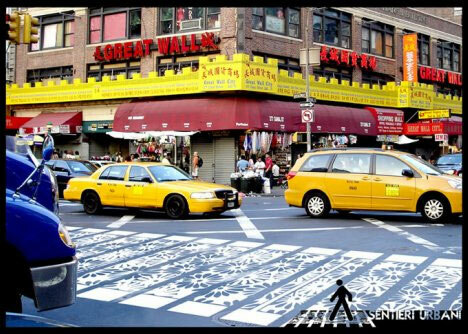 Gibson’s stencils are a direct response to the proliferation of ‘car culture‘ and though have gotten him into trouble with the law (he was arrested and charged with 53 counts of mischief) have gotten almost universal praise from the public for questioning the impact of our dependency on automobiles on society. 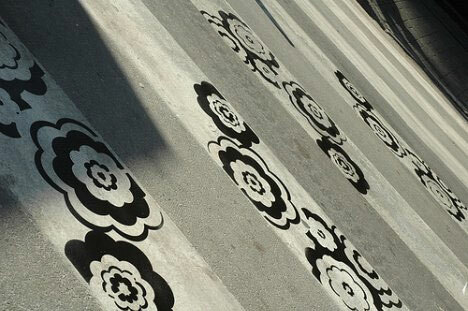 Ironically enough, all charges were dropped against Gibson, instead he was asked to participate in 40 hours of community service focusing on street art. 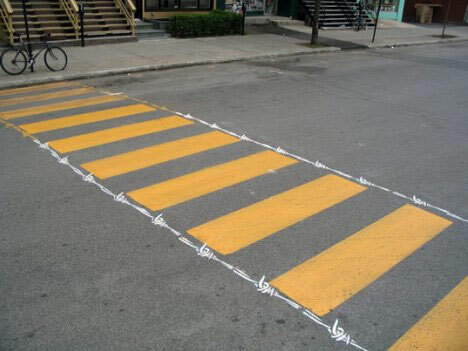 While a majority of our efforts towards reducing automotive deaths tend to focus on passenger safety, they overlook the startling fact that about 25% of all automotive-accident victims are pedestrians. 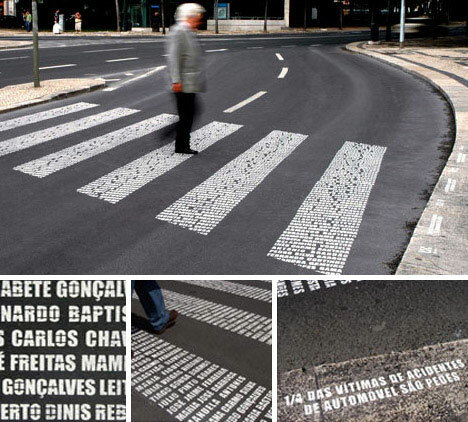 To spread awareness of this fact as part of Portugal’s ‘Safe Street Week’, Draft FCB Lisbon was commissioned to create a zebra crossing memorial where the stripes consisted of names of pedestrians killed by cars. 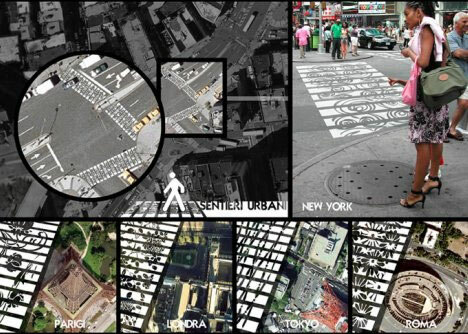 The result is a spine-chilling visualization of pedestrian deaths that may ultimately be self-defeating as it distracts people trying to cross the street. 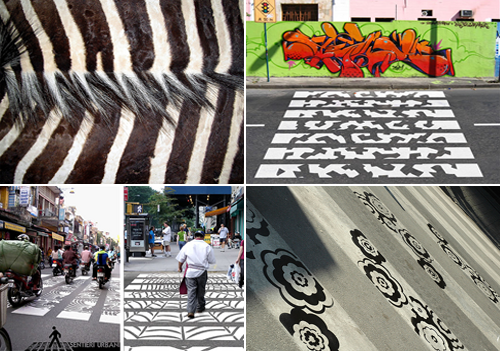 Sentieri Urbani is a project by two brothers, Davide and Gabriele Adriano, that aims to reinvent zebra crossings to communicate the distinct identities of cities where display their works. 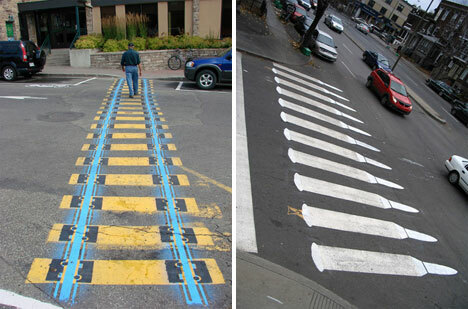 Their goal is to make each zebra crossing individually recognizable and actually allow pedestrians who take the time to “read more information and learn the place they’re visiting”. 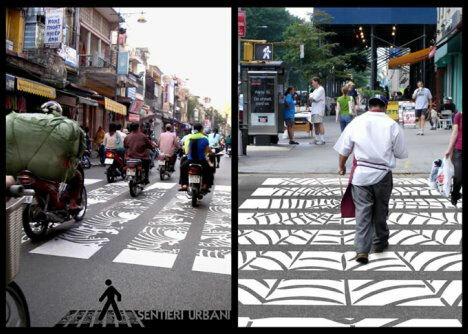 At the same time, the designs are created in such a way that they don’t present any distraction or hazard to cars driving faster than walking speed since they just see a traditional crossing. 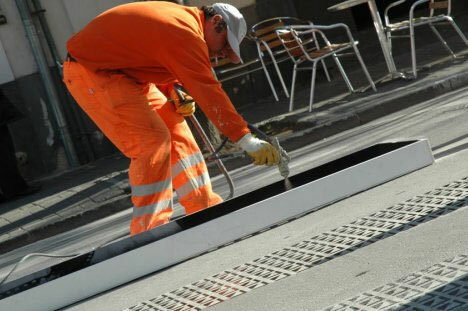 In fact, these works help drivers because they are created in a way that increases the friction between the car and the road, giving them more control and making the roads safer. 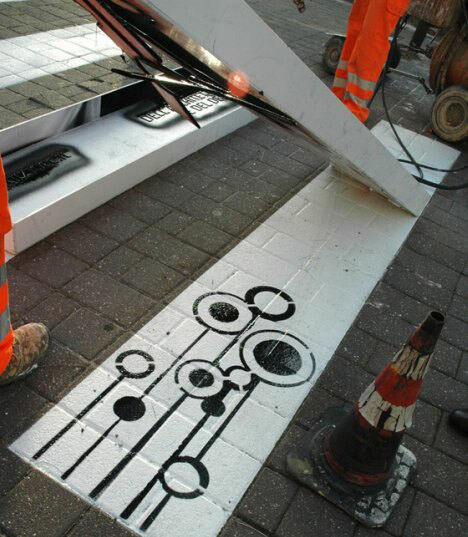 Finally, like many other previously ‘underground’ art forms, zebra crossing street art is being used for guerrilla marketing. 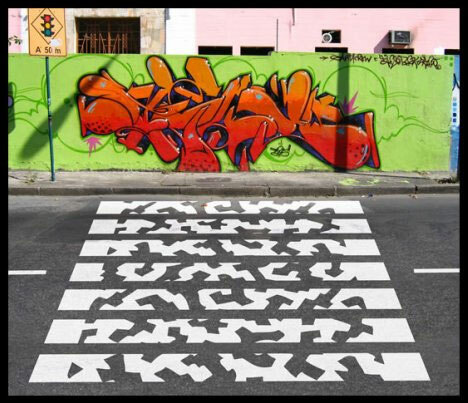 In an attempt to battle ad-blindness that consumers are fast developing, MTN Company recently used zebra crossing art to advertise an architecture and design event.